LAS CRUCES - ARCA Space Corp. is moving closer to testing revolutionary technology that was designed and built in Las Cruces. 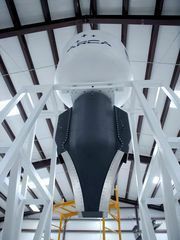 Company officials say they plan tests at Spaceport America before the end of the year. 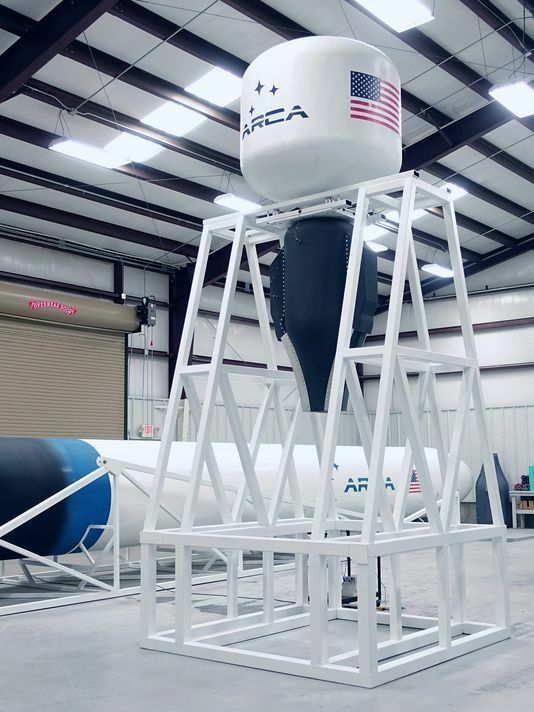 The ground test stand and aerospike engine for the Demonstrator 3 rocket are ready for tests, according to a company news release. The design and construction was completed in 60 days since the start of fabrication. The engine, with a sea level thrust of 4.2 tons, uses hydrogen peroxide as propellant. Despite the low-energy propellant, the rocket is able to reach space due to the use of an extremely lightweight tank and high efficiency aerospike engine, company officials said. composite tanks for hydrogen peroxide and kerosene have been extensively tested at ARCA. The results of the ground and test flight will be used by ARCA for the Haas 2CA Single Stage to Orbit rocket that is scheduled to be launched in 2018 from NASA’s Wallops Flight Facility. The Haas 2CA will operate in the nano/micro satellites market, which is based on a SpaceWorks forecast indicating 3,000 satellites between 1- 50kg will require a launch between 2016-2022. The total market value is estimated to be $5.3 billion in the next decade. At $1 million per launch, the Haas 2CA perfectly fits into this market seeking economical solutions. ARCA’s efforts are focused on the creation of the world’s most cost-effective orbital launchers.